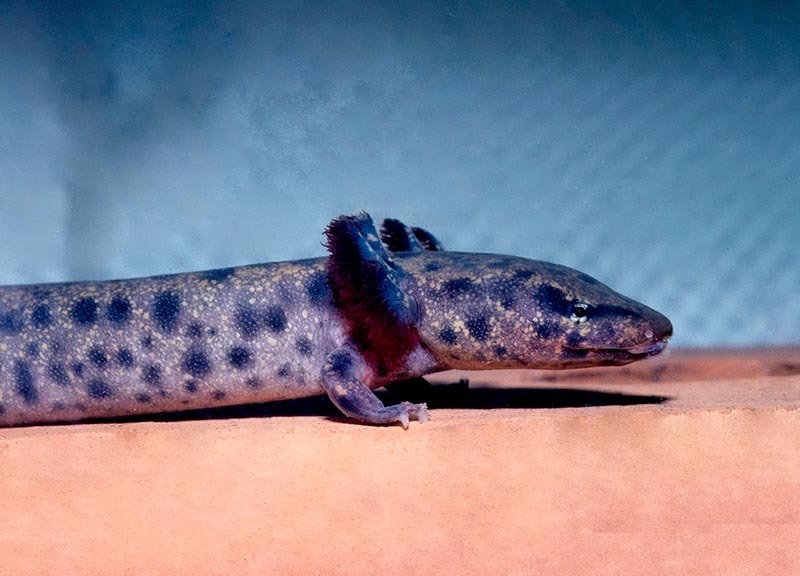 The Gulf Coast waterdog (Necturus beyeri) is a permanently aquatic salamander that is most commonly found in the streams of the Mobile Bay watershed. It retains its prominent larval gills into adulthood. Photo by Suzanne L. Collins, Center for North American Herpetology.